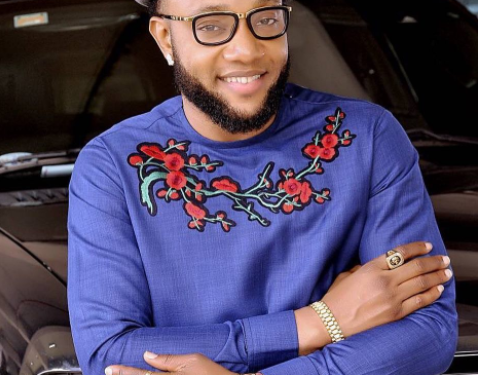 Singer Kcee has debunked rumours that him and his brother Emeka Okonkwo popularly known as E-Money are involved in illegal businesses. E-Money who is tge CEO of Five Star Music, under which Kcee is signed. He is also involved in shipping, real estate, and oil and gas. In an interview with PUNCH, Kcee talked about how they were kicked out of their home in Ajegunle, Lagos and how they worked hard to be where they are today. “My brother is not into drugs or anything illegal. We are from a Christian home and we are very careful with our lifestyle and what we do. Our only weakness is that we show off. We like the good life. My brother is a hard worker. For about 17 years, people have been saying that we do drugs or 419 but why have we never been caught? Why haven’t we made a mistake? Why hasn’t someone come to expose us? When we had issues with some of our team members that left recently, a lot of people were waiting to hear that we were into illegality but they did not say that. My brother is a hard worker who is into clearing and forwarding, oil business, real estate, etc. He started from the scratch. He used to be my manager when I was with Presh (his former group member) but he left to start his own business. It is just the grace of God. When I was playing football, I was doing very well. I started with football and the first time I traveled out of this country, it was through football. I never saw music coming and it was something I did by the side. My brother and I laugh whenever people make statement like that. He does not do anything negative. If not, people would have come out to expose it. I am sorry but no one can make us change our lifestyle because it is in our DNA,” he said. I left Ajegunle because we were unable to pay our house rent and the landlord threw us and our property out of the house. I was wearing only my boxers when the landlord threw us out of the house because we could not pay N70,000 for a three-bedroomed flat. My father started squatting with some people while my mother went to her sister’s house. My brother and I had to hustle. By then, we (him and Presh) had won Star Quest so we had a rickety car, so we slept in the car. At the time they stole our car, things were tough because all our property was in the car. We were living from hotel to hotel and all we had was in the car. Sometimes we owed the hotels a lot of money which we paid after we had a show. To get shows then was even very hectic for Presh and I but we still believed that God would help us. By then, E-Money had to move on to learn how to be a freight agent. He later found his feet. Leaving Ajegunle was divine because I believe God sent the man to kick us out. After we left Ajegunle, we stayed in a room apartment in Ojodu before we got a place in Omole. After a while, E-Money started doing well and we bought a duplex in Omole, then he bought a piece of land and continued buying and the rest is history. The same thing with me; we grew up gradually and there was no time we were greedy to go into crime or defraud anyone.